This is a very lovely bracelet . 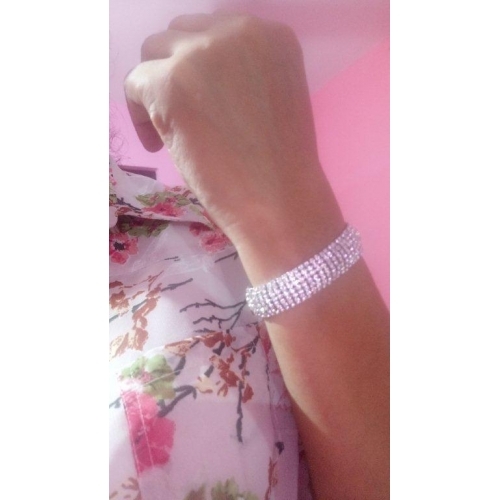 I purchased it thinking it will be a bangle but it turned out to be bracelet and I liked it very much. My husband also liked it and he too want to buy if there is something similar for men. This is a very lovely bracelet . I purchased it thinking it will be a bangle but it turned out to be bracelet and I liked it very much. My husband also liked it and he too want to buy if there is something similar for men. Im truly pleased to see that you like this bracelet . Thank you so much for mentioning your valuable experience with us. If you think thats okay, you may share your pleasant feedback with your friends. I LOVE this bracelet. I wished I had ordered it in silver too. I will definitely be wearing this bracelet all the time. 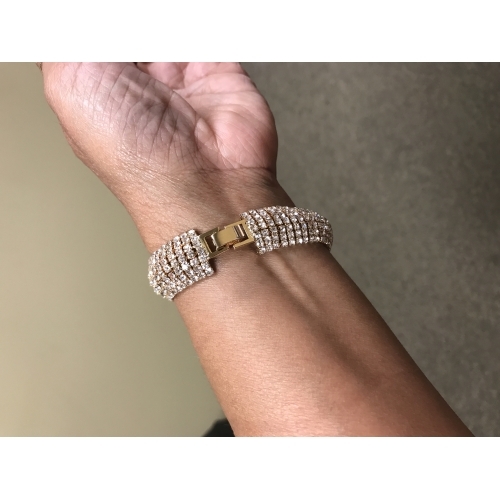 I love bling and this bracelet brings the bling. Love-it and thanks for making it beautiful. I wished I had order more of it. I LOVE this bracelet. I wished I had ordered it in silver too. I will definitely be wearing this bracelet all the time. 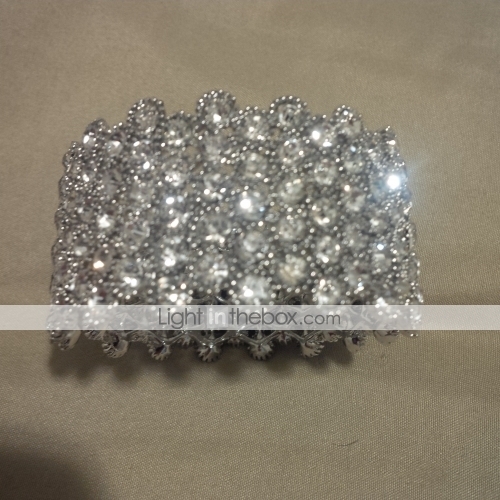 I love bling and this bracelet brings the bling. Love-it and thanks for making it beautiful. I wished I had order more of it. Dear Customer, we are delighted you love this item. It looks just great. Good price, quick shipping, and high-quality items, this is our mission and what we commit ourselves to. We are looking forward to serving you again in the near future and we will spare no efforts to provide best shopping experience. Christine	Dear Customer, we are delighted you love this item. It looks just great. Lindo, adorei, ficou perfeito !! Lindo, adorei, ficou perfeito !! Great quality, looks exactly as is. Great quality, looks exactly as is. Vzhled i funkčnost odpovídá nabídce. Vzhled i funkčnost odpovídá nabídce. 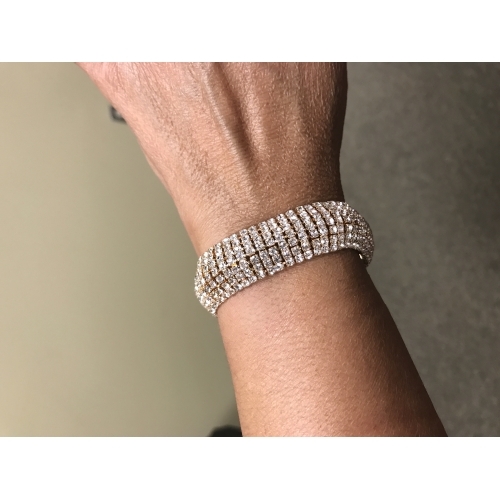 Trés beau bracelet, identique a la photo. Hermosa, gracias por la entrega ...me llego a tiempo. Hermosa, gracias por la entrega ...me llego a tiempo. 팔찌가 모양도 좋고 품질도 매우 좋아서 많이 착용하고 있답니다. 크리스탈의 빛깔도 좋아요	팔찌가 모양도 좋고 품질도 매우 좋아서 많이 착용하고 있답니다.